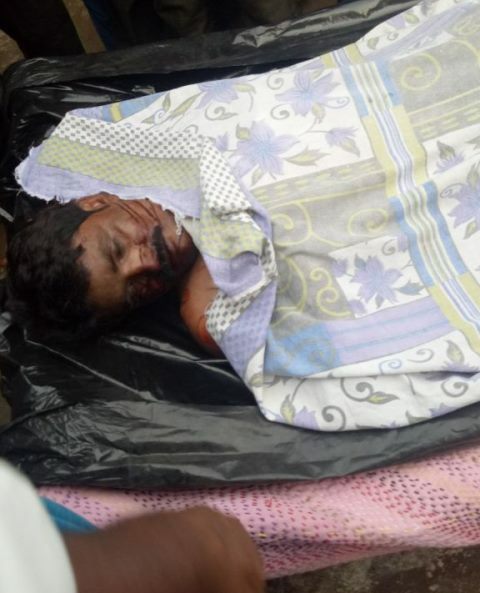 Ramgarh; Jharkhand, Tauheed Ansari was brutally killed by a mob on suspicion of carrying cow meat cow meat. According to reports, Ansari was traveling on the bike to buy some grocery stuff for their guests, but suddenly he met with a road accident and the meat from bike’s boot space fell down on the road. Seeing that Ansari ran away from the spot and later around 12 pm his brutally lynched body was found nearby railway tracks. However, police confiscateed the meat and bike from the place of incidence and sent the meat for forensic test. The recovered body of deceased was brutally cut by some pointed weapon as there are numerous deep marks on his body. The police and doctor who did postmortem claimed that Ansari died 10 hours before the incidence. Ansari’s father revealed that the boiled water was also thrown over the body of his son. A local native Shariq Ansar told to Muslimmirror.com that “Currently two types of images are circulated on social media one of them is photoshopped in which there is not even a single mark over deceased body, but in real image his body is full of injuries and burned, that directly implies the level of brutality Tauheed Ansari had to undergo before dying”.